Have a question about ranch life, cattle production, agriculture, or even who I think will win the game this weekend? Ask me anything on Tumblr and if I don’t know the answer we’ll learn together. In an effort to utilize social media to the best of my ability, I’ve created an account on Tumblr. I often have random things on my mind and sometimes they just do not fit this blog. I thought this would be a cool way to post them. I’ve titled the page after my Sitting in the Pasture blog because some of best (or most random) ideas hit me when I’m out in the pasture working. Obviously not the best time to write a blog post. So I’ll be using this page for those thoughts. And come to find out Tumblr has a great way for you to help me out, or me help you (which ever way you want to look at it!). You can ask me questions and I’ll be able to respond to them in a post with a photo, video, or text response. I thought this would be a great way to interact and answer any questions that may come to mind on the topics I may be familiar with. So hit me up with what comes to mind. Anything about cattle, ranching, Arkansas, the game that’s on this weekend, or what ever fits your fancy. 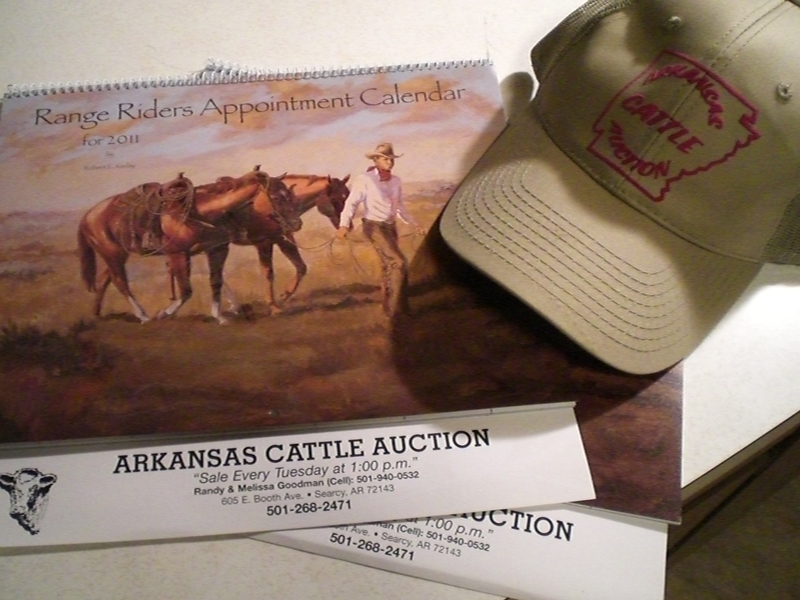 For the first 10 people who ask a question related to Agriculture through my Tumblr page, I’ll draw 3 to receive either a 2011 calendar or hat from my family’s cattle auction. Nothin much, but I thought it would be a fun way to get the conversation started. Be sure to leave an email where I can reach you with your question. Visit this page and start asking away! Do you or anyone you know use Tumblr? Let me know so I can look ya up! Find my page here.